Tender and juicy! rubbed. (i’ll post the rub recipe later) i’ve been using an electric smoker which doesn’t have the same results as smoking over real fire IMO. as you can tell there’s not much of a smoke ring, but the results were still juicy. Because of the temperature limitations of the electric smoker (250F max pretty much), I start the ribs in the oven at 350-400 to get a slight crust going, then throw them in the smoker at 250 until it comes to the proper texture (almost). Then, when it’s almost ready, I take them out and throw them under the broiler. Did two types: pork ribs and lamb ribs w/ cumin and spicy chili oil (not pictured). 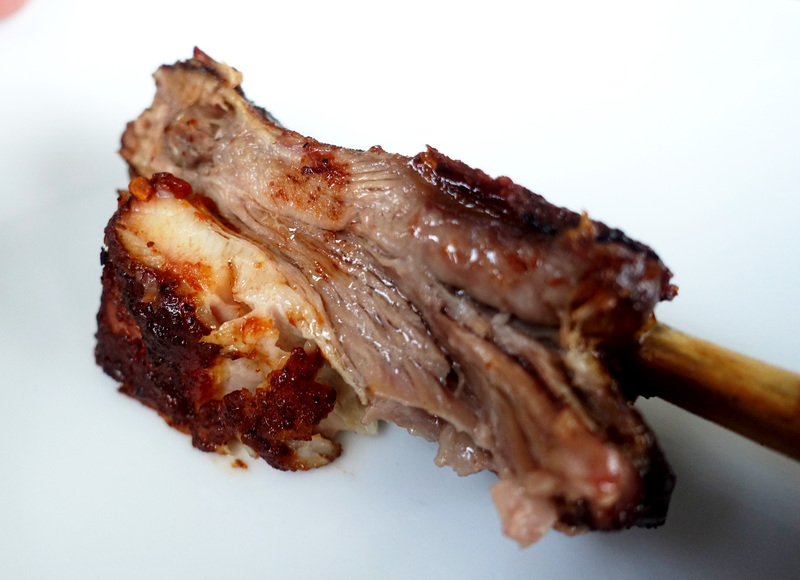 the lamb ribs were infinitely better flavored (inherent), but the pork ribs picked up the rub and the bbq sauce super nicely and were thicker. 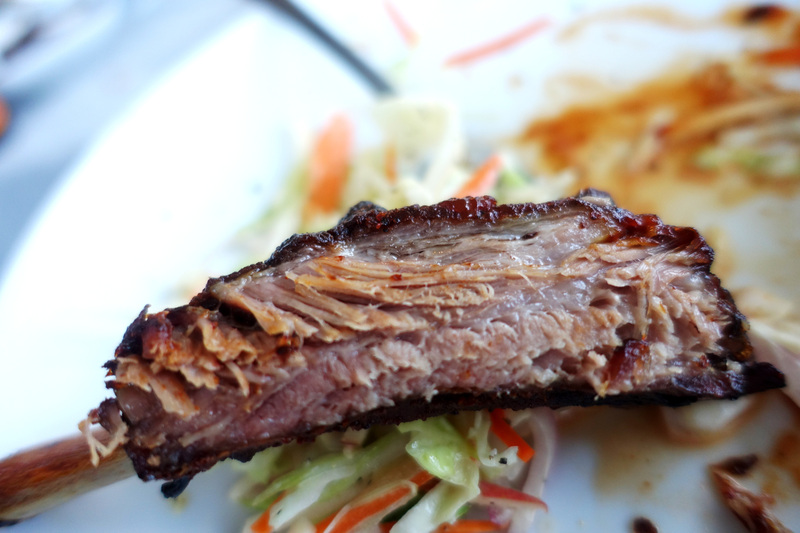 I used pork short ribs as opposed to spare ribs or back ribs.